Everybody should send a message requesting Bter to add Talkcoin. I sent and I got an answer from Bter telling me thank you for the information, so they read these requests. Also sent a message to them Any other candidates ? How about Polo ? New reward is 36.94 coins per block. 37 reward! EVerybody to mine like crazy!! Now the price go down due to the 6x reward, normal. Soon will grow up when new miners come. Dev, some ETA for the miner? 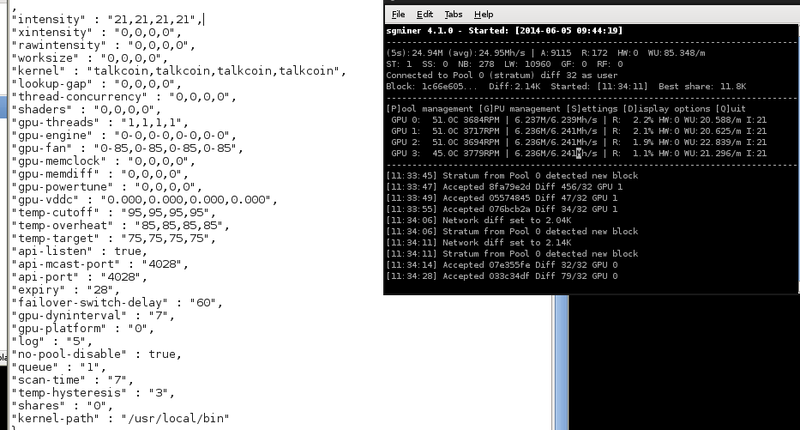 Hi - updated miner is just being tested, depends on when the Dev signs it off but should be v. soon. No that has nothing to do with current block reward, just most likely a few dumpers. the cards are really loud, so Im assuming its the fans. What settings should I change to make it less loud. But we will offer another 1000 TAC bounty for the first person to make a second block explorer thats more reliable and more user friendly, I updated the OP. This is good news for the community! Now hashrate will pick up and everyone will receive more coins!